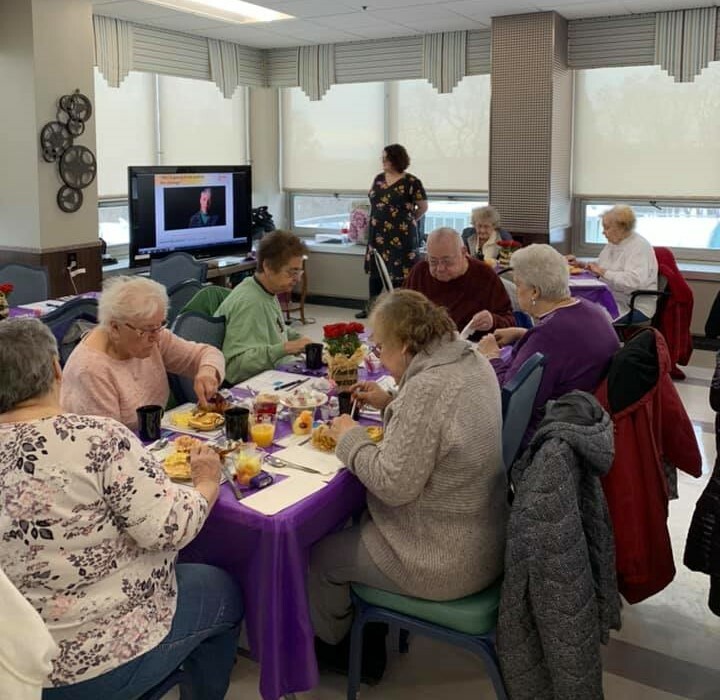 In case you missed it, Wednesday, January 23rd was our monthly Morning at the Mont Brunch with special guest speaker Heather Jagodowski Project Coordinator for the Alzheimer’s Association of Western Mass. Heather presented on knowing the 10 signs. Guests also enjoyed a delicious breakfast, raffles and some giveaways. © 2019 Mont Marie Rehabilitation & Healthcare Center. All rights reserved.